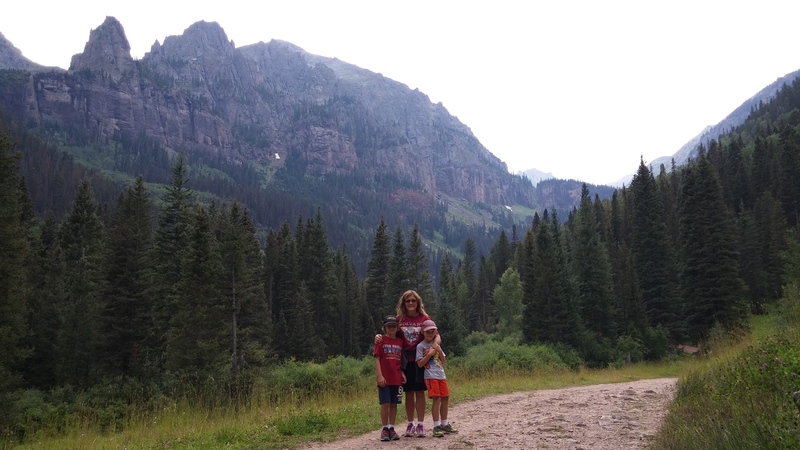 It has now been almost 17 months since we ditched the suburbs to live in our RV and travel this beautiful country. In that time we have not re-visited the same place until now. I should clarify that is with the exception of Florida since going back there is like going home, not visiting a new place. 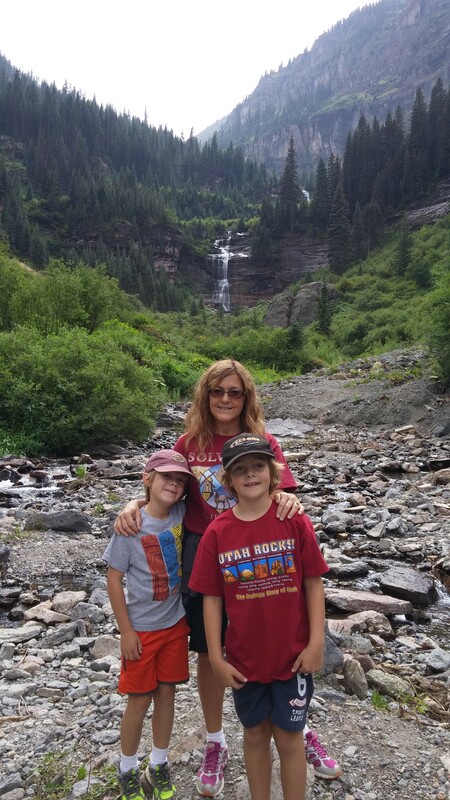 Anyway, we loved our visit to Telluride, CO so much last year that we decided to go back again this year while we were in the area. It was like deja vu. We did almost exactly all the same things as last year. 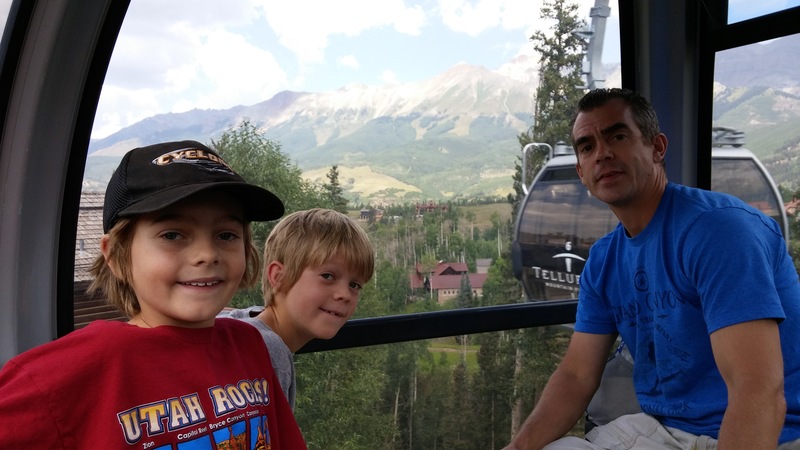 One of the fun things to do in Telluride is to ride the free gondola. There is a very nice, spacious parking garage (where even our big truck can fit) up in Mountain Village. Last year it was $7 to park there for the day, which seemed reasonable, but this year we were pleasantly surprised to find that the parking is now free! 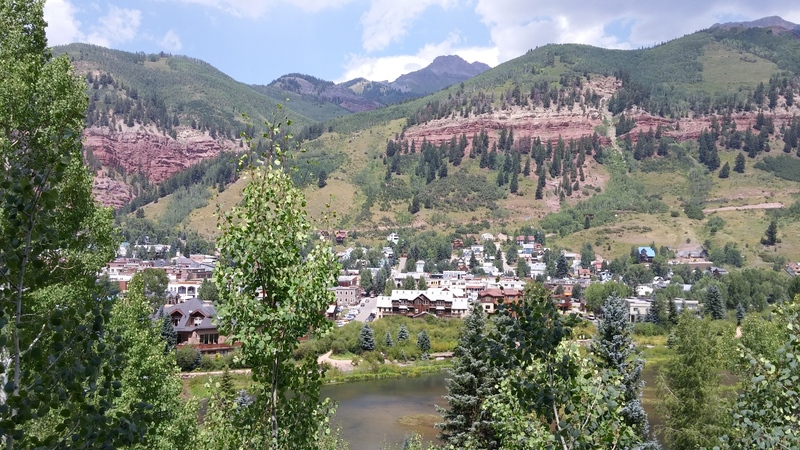 From the parking garage you can access the start of the gondola ride into Telluride, and it is a beautiful ride. The gondola takes you to the Mountain Village shops first. 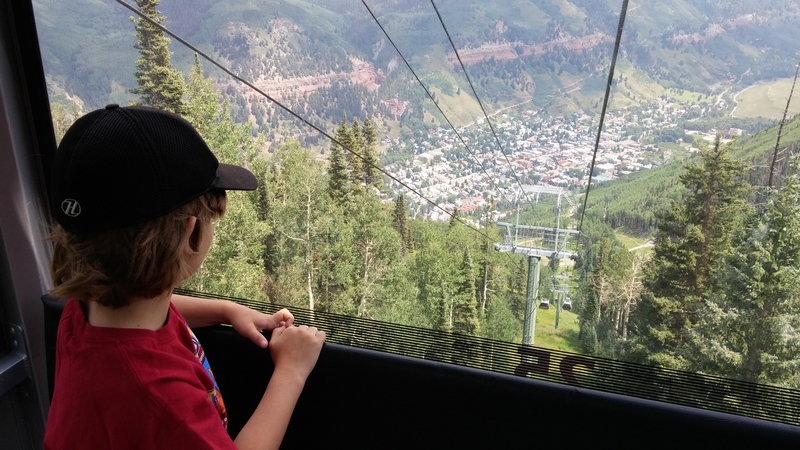 Then you change to a different gondola that goes up the mountain where you can either get off and check out the scenic viewpoints, or continue on down into the town of Telluride. 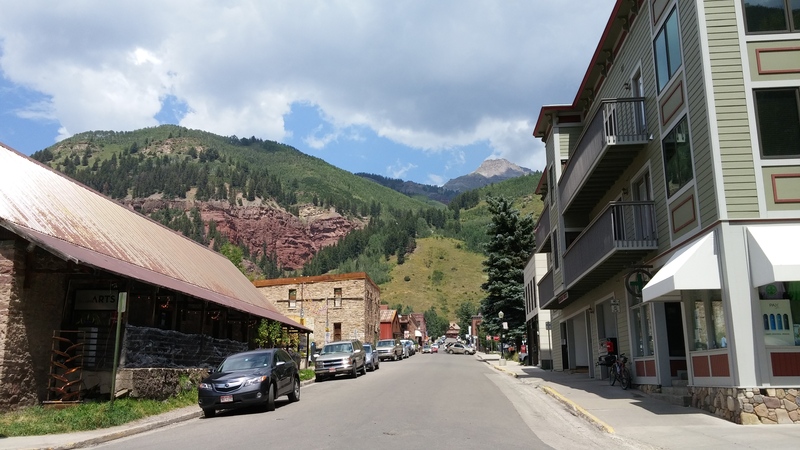 The town of Telluride is so cute! I could never get tired of this place. 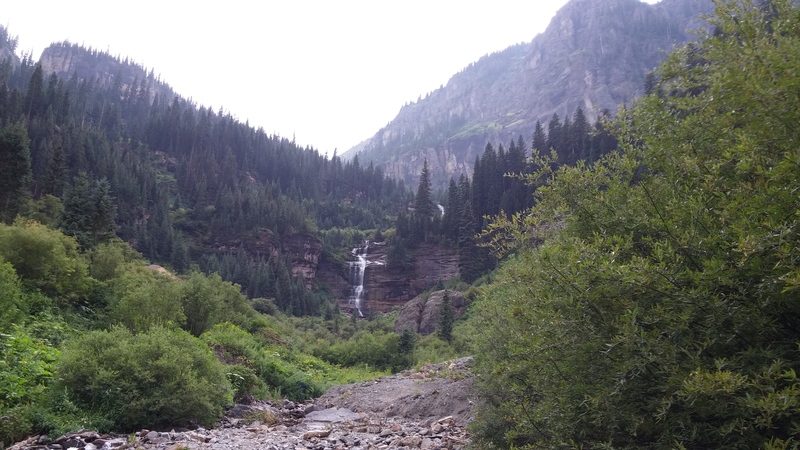 Bear Creek Falls is a popular hike that you can access from the end of one of these roads. 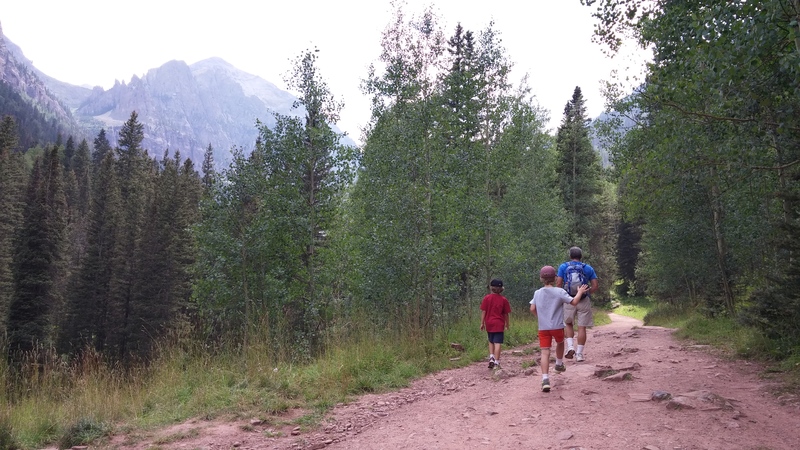 It’s a 2.5 mile hike up to the falls and then of course, 2.5 miles back down. 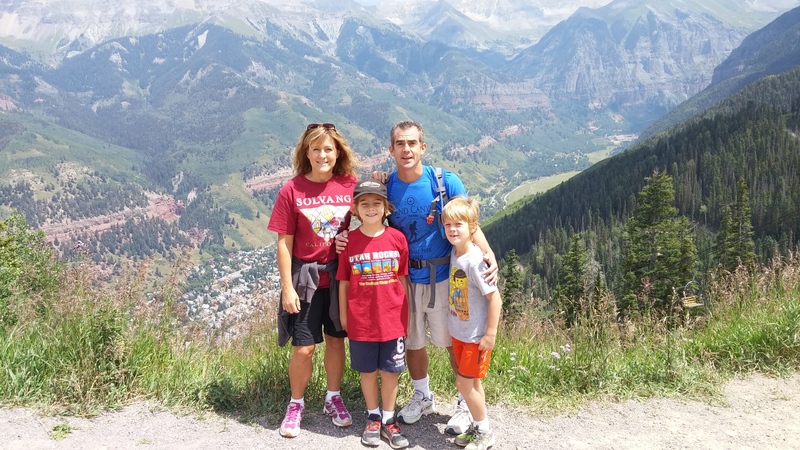 The views hiking up are amazing! When we were here in August last year there was no more snow on the mountains, but this year being earlier in the season, there was still a little snow left. Once we made it up to the falls it started raining, just like last year. Did I mention deja vu? I would really like to make it up here sometime while the sun is still shining so my pictures aren’t so cloudy. 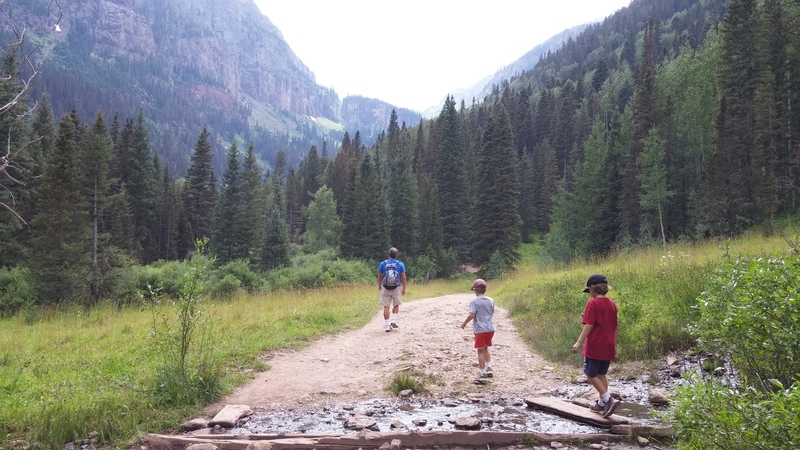 Once we got back down the trail, we were starving and went to the same Mexican restaurant we ate at last year, Esperanza’s. We had the same waiter who sat us at the same table. This repeating a day from last year was getting pretty funny. If we had to repeat a day though, this was a good one because it really was one of my favorite places we went to last year. After our late lunch/early dinner, we headed back to Mountain Village on the gondola again. There are condos all over this area because it is a ski resort in the winter time. I would love to come here to ski sometime! More pictures from our return trip on the gondola. And finally a few more pictures of this beautiful area. I absolutely love this part of Colorado! 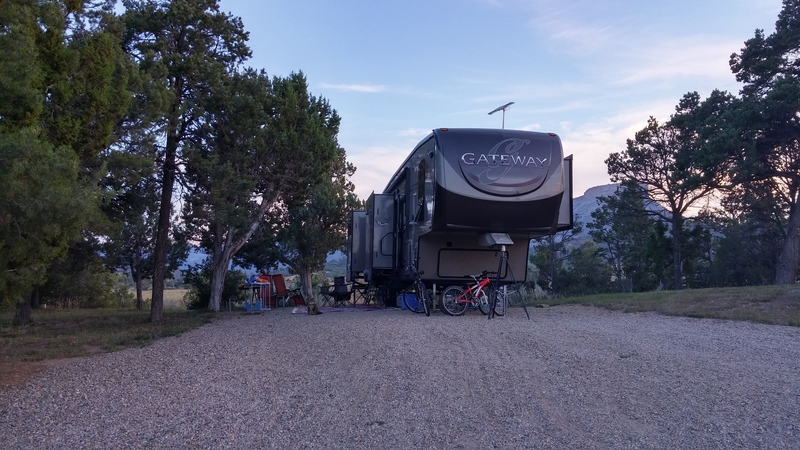 If I had to settle down and live in a house without wheels (which I don’t want to do), I think I could live somewhere in southwestern Colorado. It is awesome! 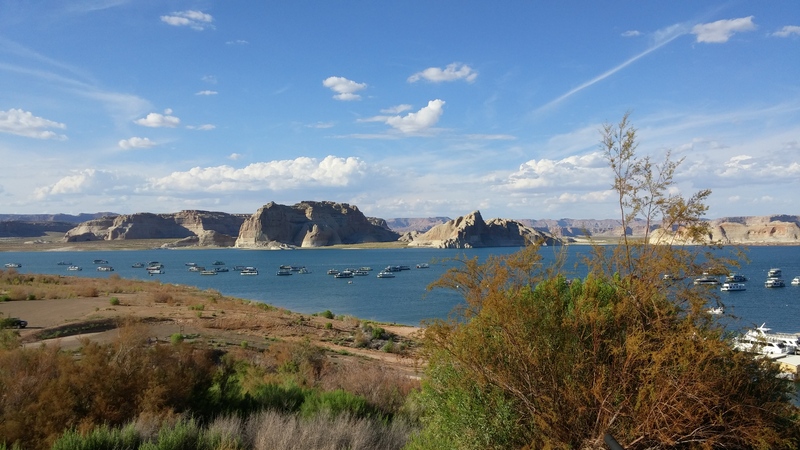 After leaving Bryce Canyon, we had planned to stay at Lake Powell for a week. 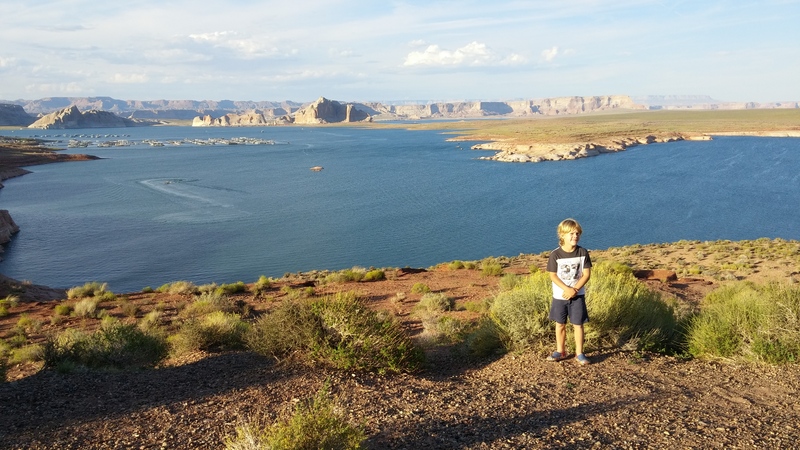 Lake Powell is in both Utah and Arizona. 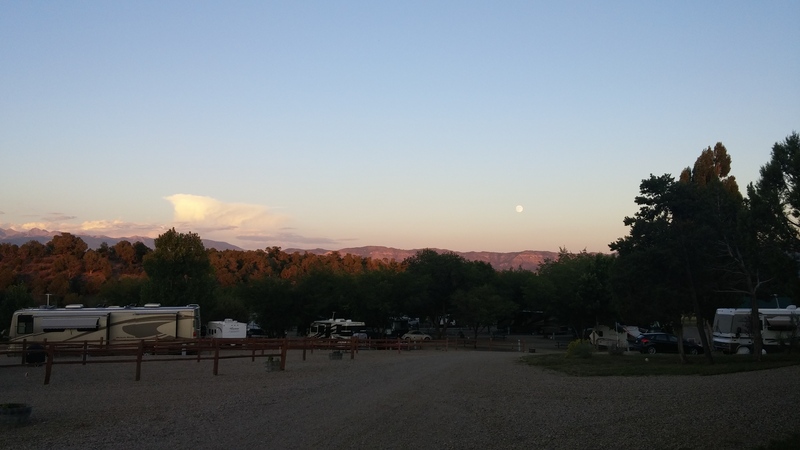 We stayed on the Arizona side at the Wahweap Campground. 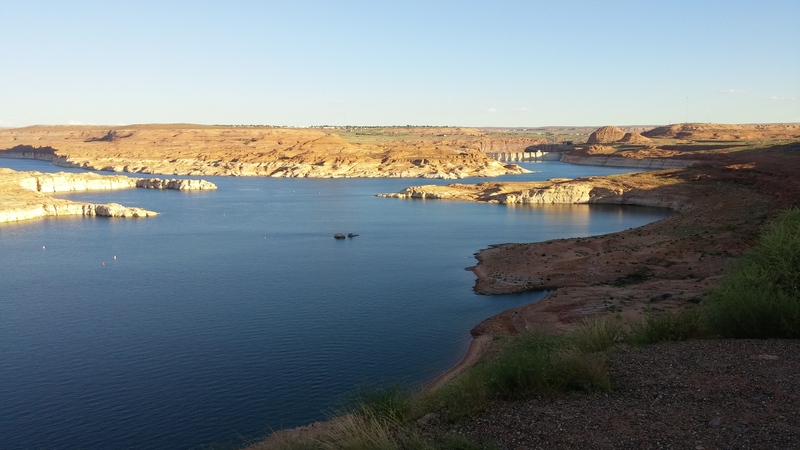 Lake Powell is so beautiful and the water is so incredibly blue! Unfortunately it was over 100 degrees when we were there so we only stayed for 3 days. I hear all the time about how the heat in Arizona is a “dry heat”. I don’t care what they call it, when the temps get over 100, it is pretty darn hot. And in an RV it seems worse because during the heat of the day, even running two A/C’s, we just can’t keep it cool. 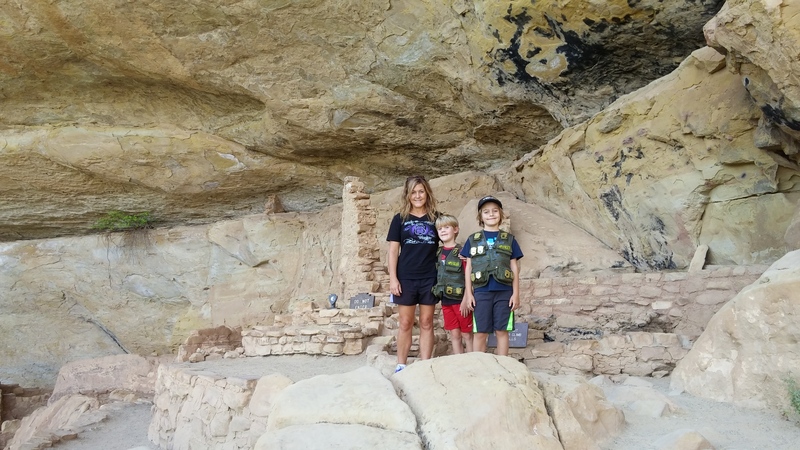 There are many interesting places to visit at Lake Powell including Antelope Canyon, Horseshoe Bend and the dam and hanging gardens at Glen Canyon. 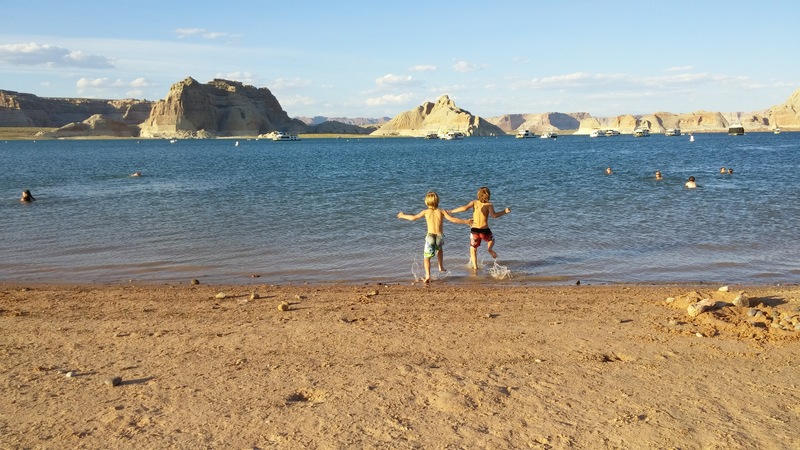 We are planning to come back out west next year and definitely want to return to Lake Powell to see all those places we missed this time because it was just too hot. After Chris & I were finished working each day this is what we were doing. That lake water felt heavenly after melting in the heat of the RV all day. 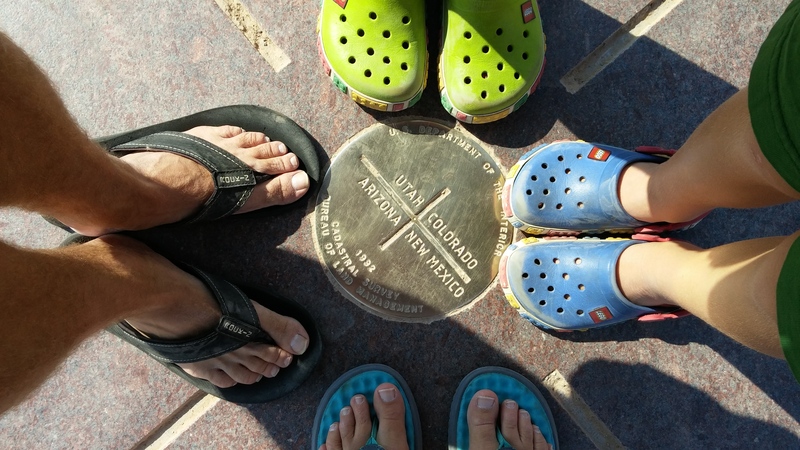 Since we decided to cut this trip short, we moved on to Colorado. 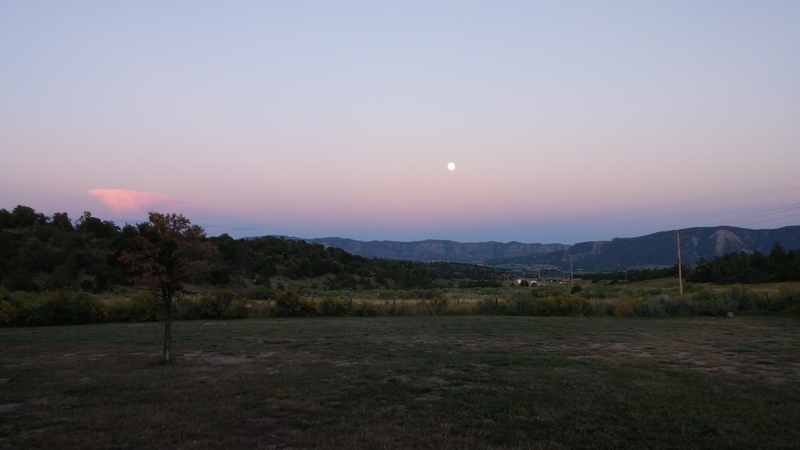 I absolutely love Colorado! It is incredibly beautiful and the weather is fabulous! Of course I may not think so in the winter, but it was wonderful in the summer. 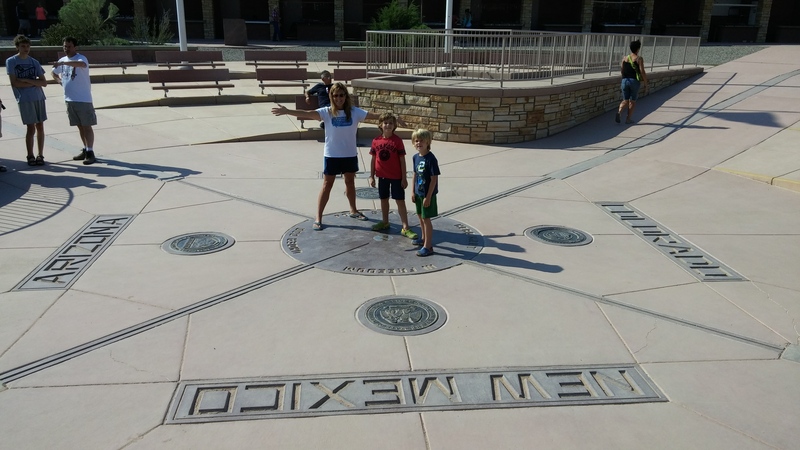 On our way there we made a stop at Four Corners Monument. 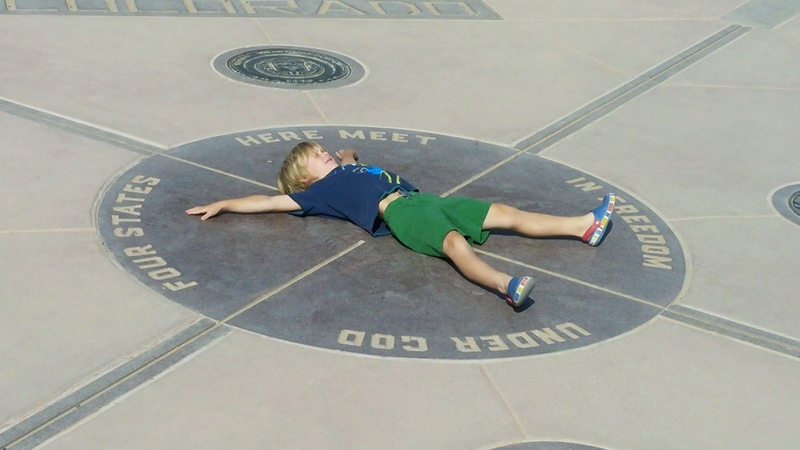 This is the spot where the four states of Arizona, Utah, New Mexico and Colorado meet. 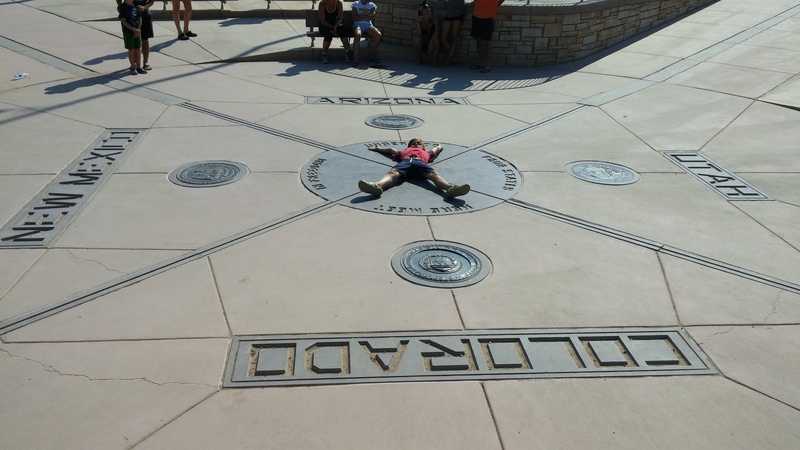 It was pretty cool to be able to be in all 4 states at one time. 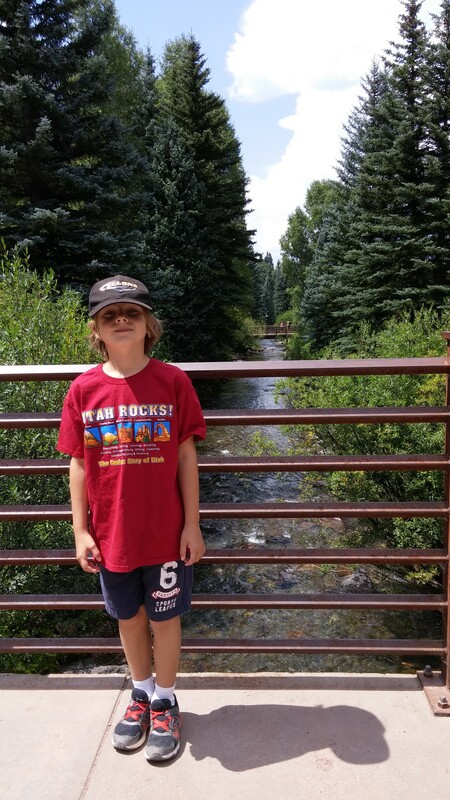 In Colorado we visited the super cute town of Telluride. We took some advice from Trip Advisor and parked at the parking garage in Mountain Village. The parking garage was plenty big enough for our dually truck and only costs $7 for the day. From the parking garage you can ride the free gondola into Mountain Village where there are lots of shops, restaurants and lodging. Mountain Village is at the bottom of a mountain biking trail (it’s a ski area in the winter time). People were riding their bikes down the mountain and then they hook their bikes to the gondola to ride back up the mountain. I definitely want to come back with bikes and do that someday. That looked like so much fun! When the bikers get off the gondola at the top of the mountain, you can get off and take some pictures and walk some trails. 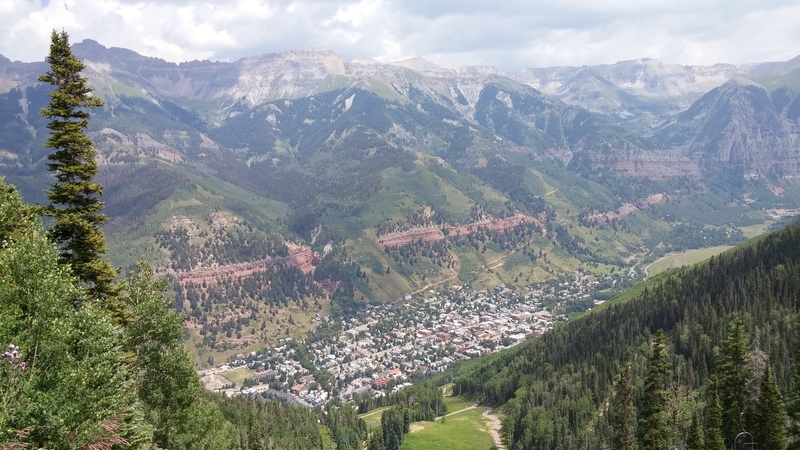 Then you can get back on the gondola and continue down into Telluride. 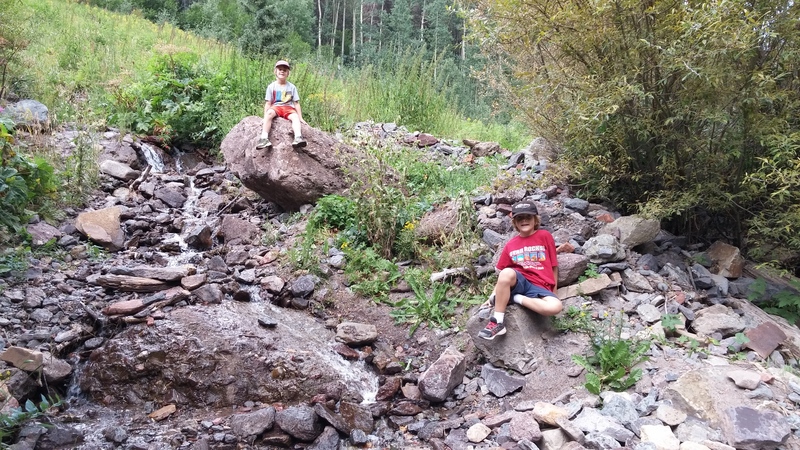 I wanted to do a 5 mile hike to Bear Creek Falls so we didn’t do any extra hikes near the bike trails. 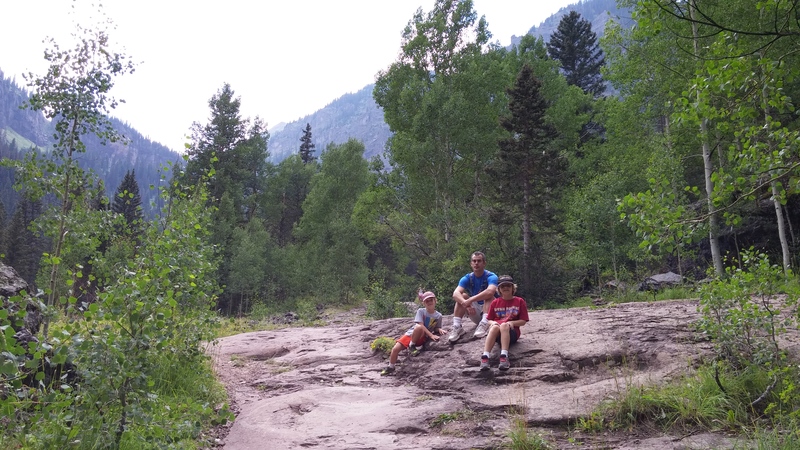 The hike to the falls was a strenuous 2.5 mile hike up the mountain, then an easy 2.5 miles back down. When we were almost to the falls we heard thunder and it started drizzling, but we were determined to get there after having already walked most of the way. At one point Jake got really tired and said he needed to stop and rest. Just before we stopped to rest we finally saw the falls which gave us that extra energy we needed to make it the rest of the way. It was cold and drizzling a little, but still worth the hike to see it. View from the gondola ride. 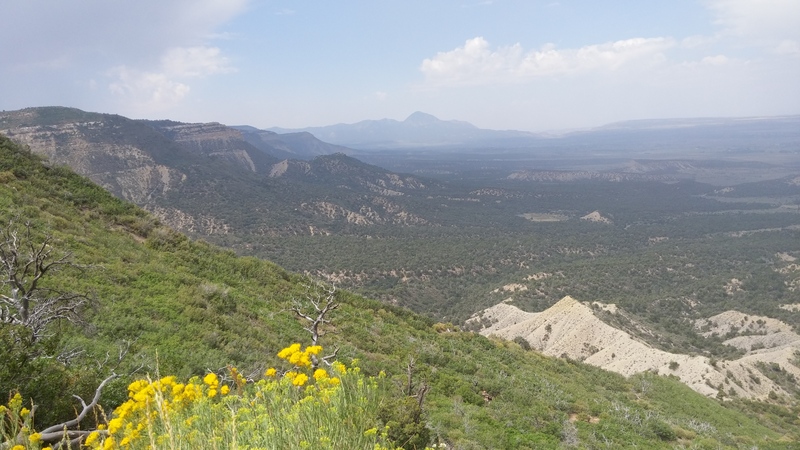 View from the top of the mountain where the mountain bikers start. 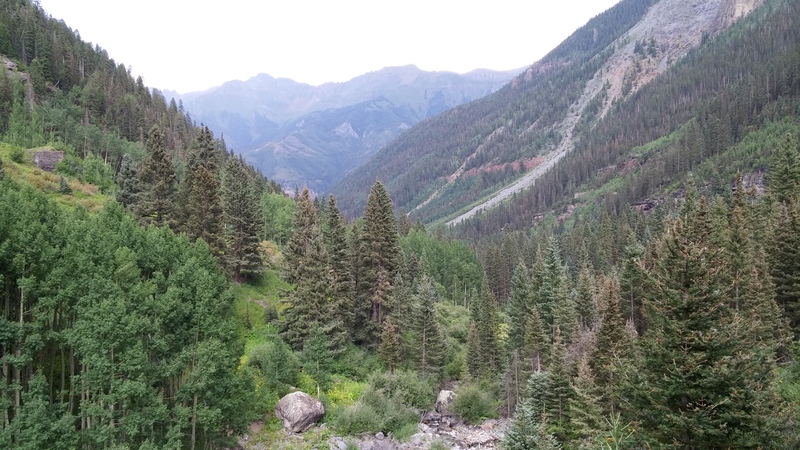 View from the gondola on the way down to Telluride. 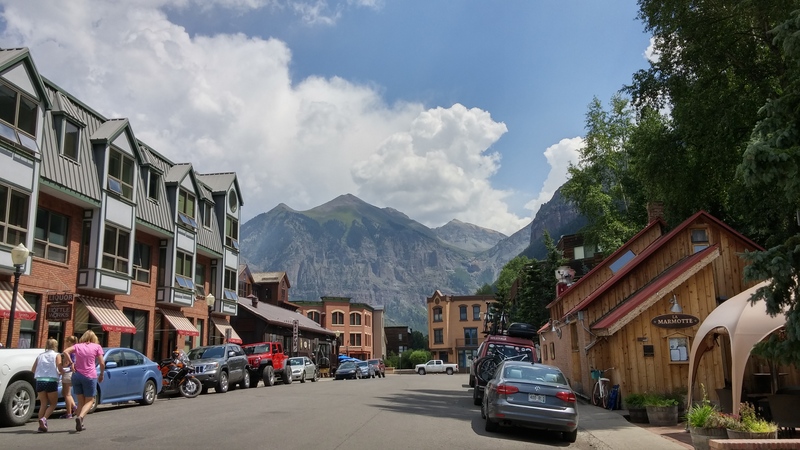 The cute little town of Telluride. At the start of our hike we had no idea how hard it would be. I mean it’s only 5 miles round trip, right? How hard can that be? 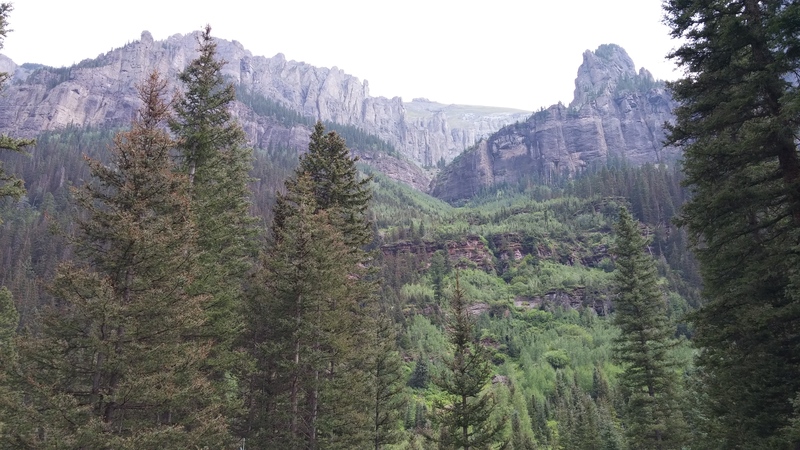 Views from our hike up to Bear Creek Falls. It’s still a nice sunny day. It’s getting cloudy and we’re starting to hear thunder, but we’re not stopping now! 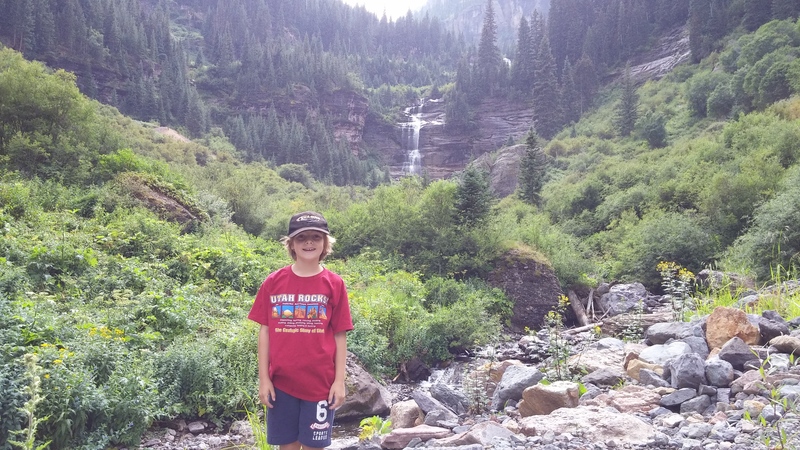 We made it, the beautiful falls! Resting on the way back down. 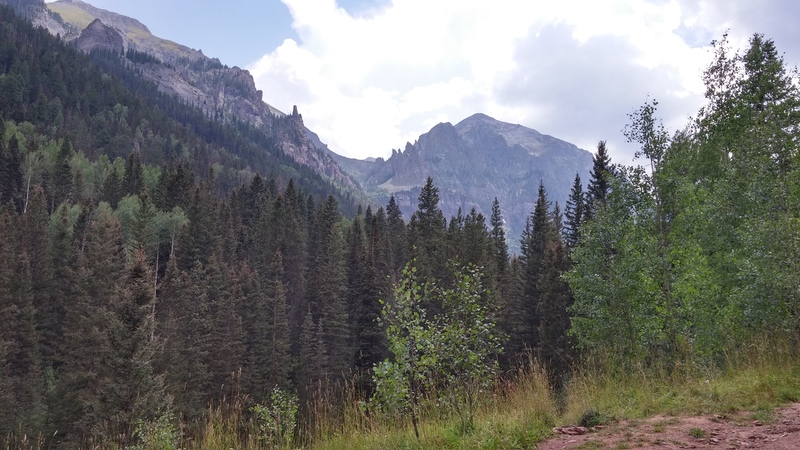 I loved Telluride and definitely would like to go back there again for mountain biking in the summer and snow skiing in the winter. 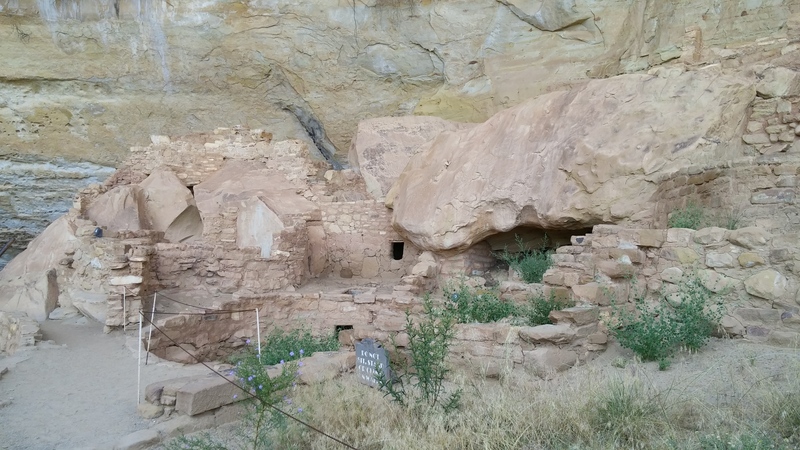 The next day we visited Mesa Verde National Park. 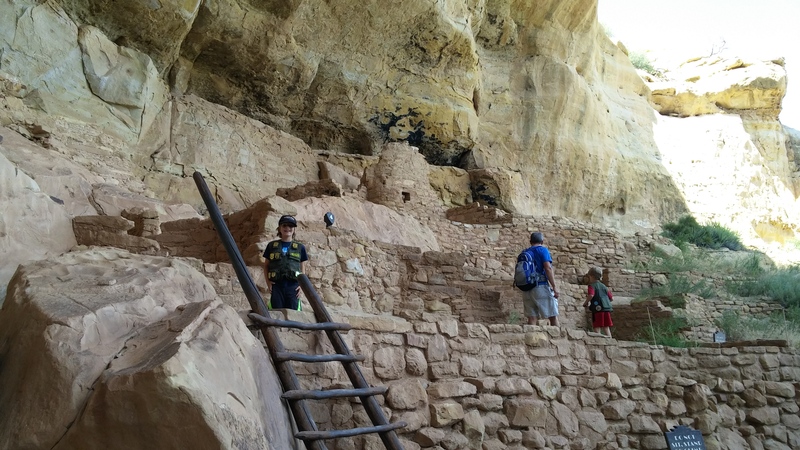 This park has lots of cliff dwellings where Native Americans lived a few hundred years ago. 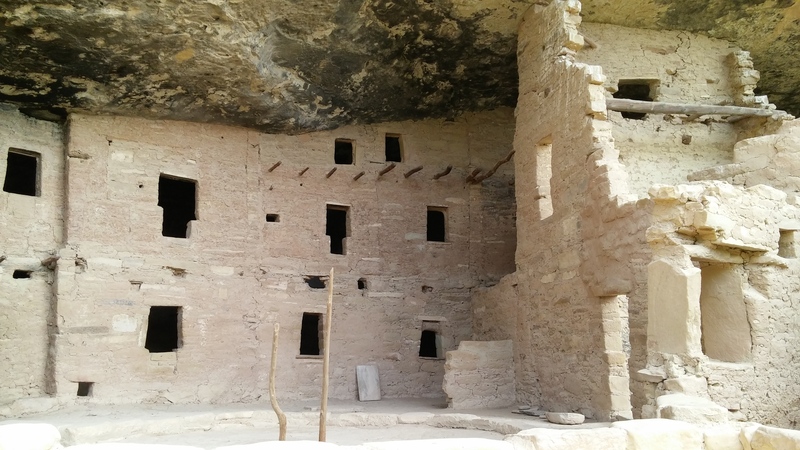 It was really cool to see their homes, walk through the rooms and imagine what it must have been like living there. 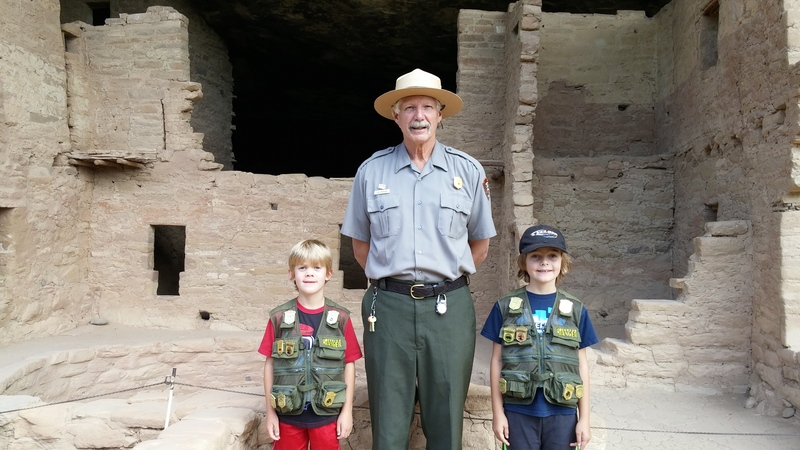 Junior Rangers with a Big Ranger. 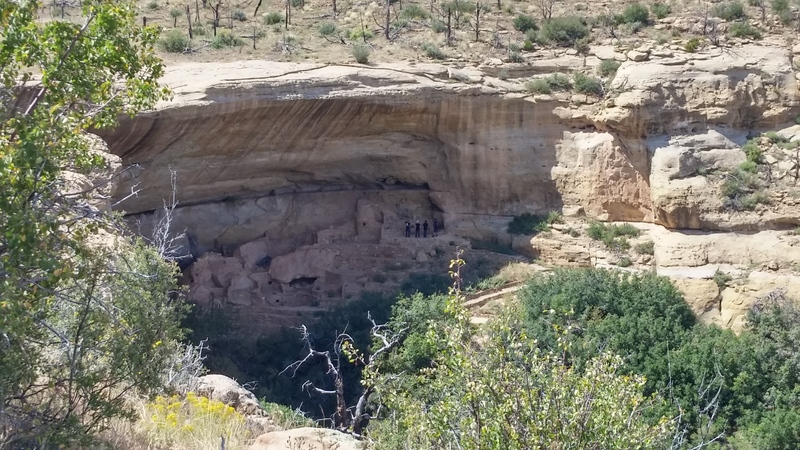 Hiking down to another cliff dwelling. 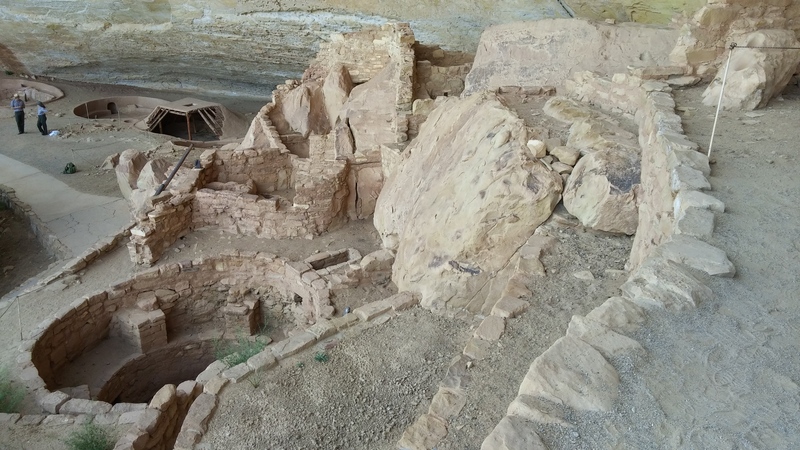 Mesa Verde has many vista points where you can see the other 3 states of the Four Corners. 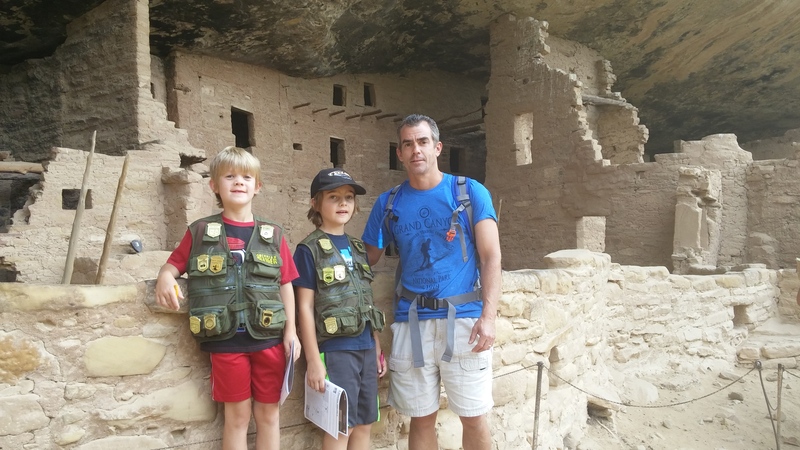 Earning another Junior Ranger badge. 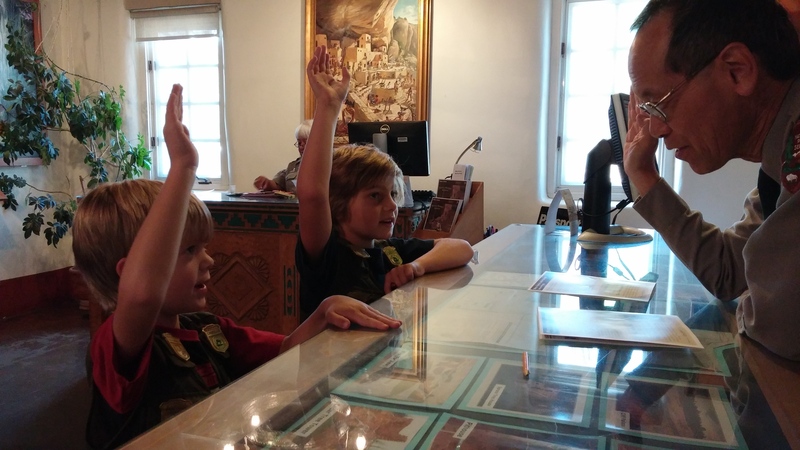 We just love the Junior Ranger program. 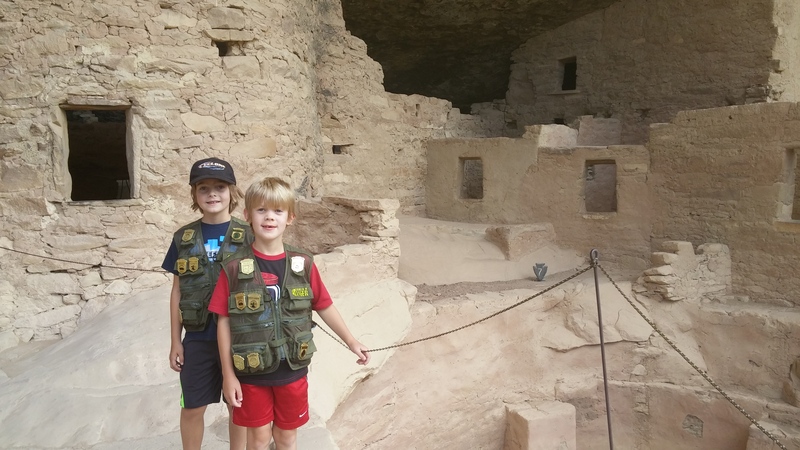 Jake and Jesse are learning so much of our nation’s history doing these programs. 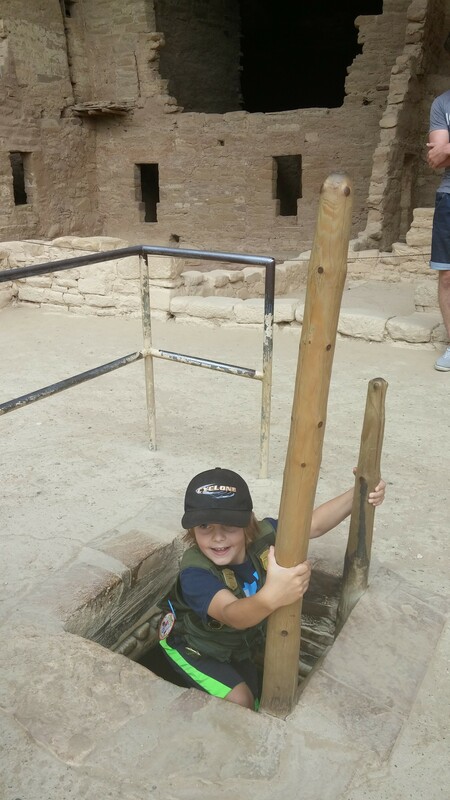 This is Roadschooling at it’s best! 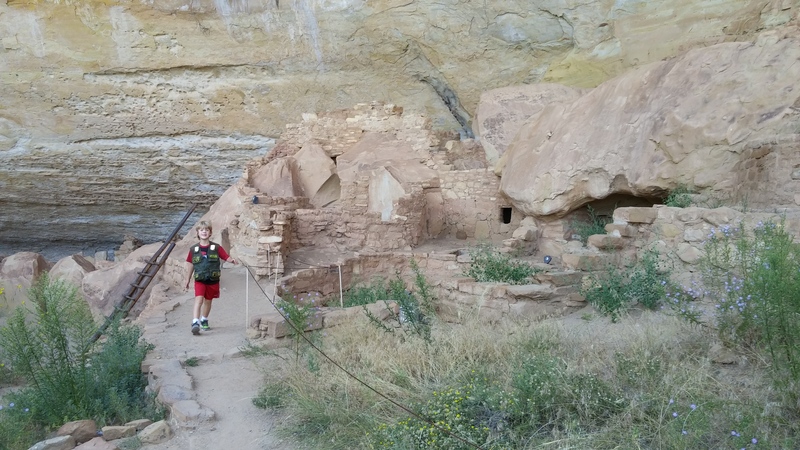 We stayed at Mesa Verde RV Park right across the street from the national park. 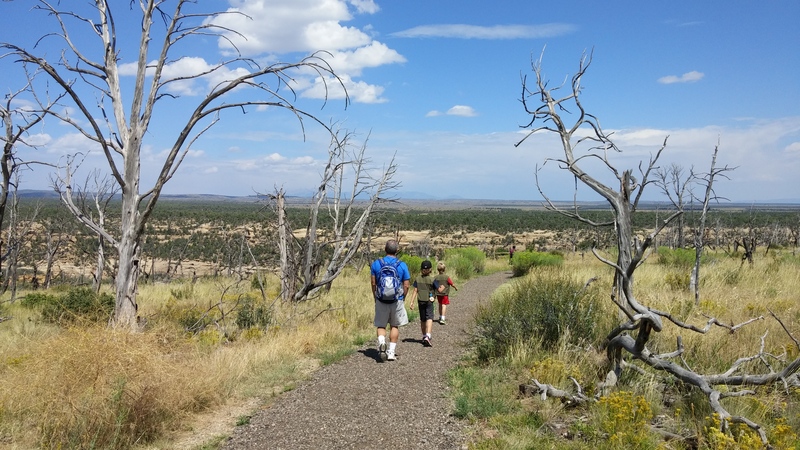 The views from our campsite were amazing and the weather was perfect! 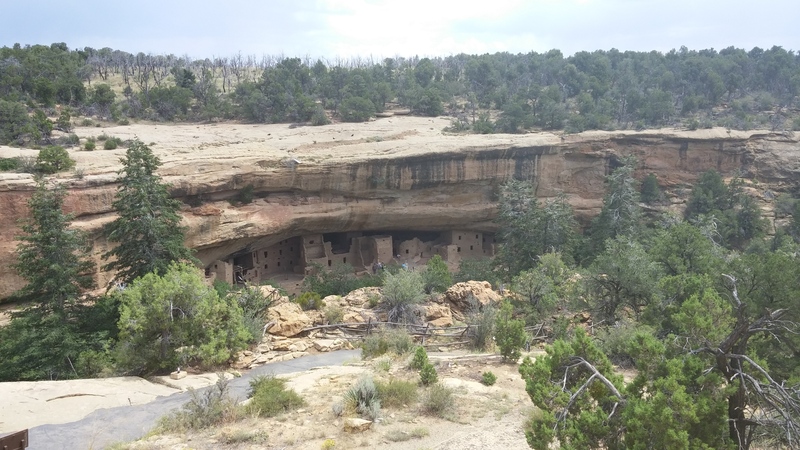 We only just scratched the surface of visiting Colorado, visiting just the southwestern portion of the state. And if we were not on our way to the Fulltime Families “Not Back to School Roadschool” rally in Missouri, we would have stayed longer. 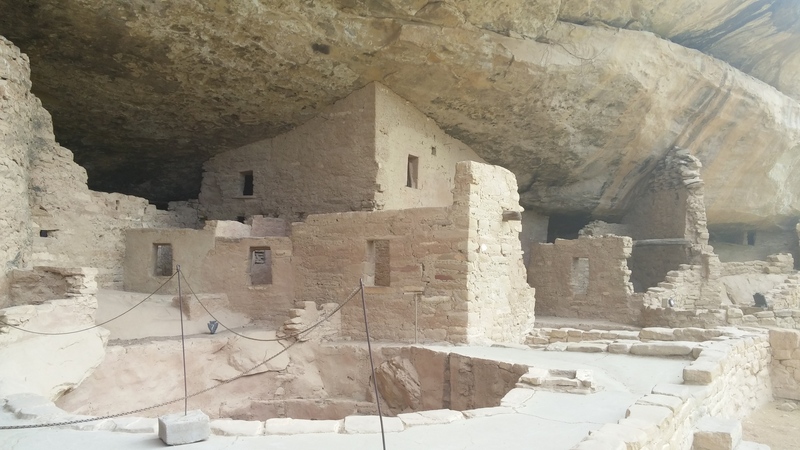 There is so much more to see and Lord willing, we will be back for a much longer stay someday.